Are you moving to London? Are you looking to move out of the capital? Either way, you should equip yourself with as much information as possible on moving in London. On this page, you’ll find the costs and a list of the best places to live in London. How much does it cost to move to London? Moving to or from London involves many costly tasks but the most expensive of all is hiring a removal company. The cost of house removals will be influenced by the total volume of items you want to transport, the distance of the journey, how easy it is to load and unload items at your properties, and additional services you request. More local issues related to house removals in London are the costs of applying for a parking dispensation and the congestion charge. The fee for a parking dispensation or permit is different for each borough so make sure to check on their website well in advance. In some cases, your removal company will be able to apply on your behalf and may even include the fee in their services. In London, there is an £11.50 congestion charge for driving within the designated charging zone. Ask your moving company if this charge is included in their final bill. In some instances, they are eligible for a discount on their moving vehicles. The following tables display the average costs of moving in London. For a more detailed look at the cost of moving to or from London, visit our dedicated removal companies London page. You’re probably looking for ways to lower moving costs as much as possible. And with the cost of living in London being one of the highest in the UK, it is completely understandable. The best way to save on your move is to get quotes from several companies. Our quote request form takes just 1 minute and will help you save up to 40%. With quotes from 6 professional house removalists in London, you are not obligated to accept any offers unless you are fully satisfied. If you are looking to make the move to the Big Smoke, you might be wondering where to base your house hunt. While you’re looking for a place to live, your first move might be to turn towards the general prices of certain areas. While this generalization might work for most houses, there are always exceptions. For example, expensive housing can be found right next to cheaper properties. As such, there can be a great deal of variation in house prices within an area of London. The easiest way to divide London is either North and South, and East and West. Usually, North and West London are the most desirable places to live, as seen in the generally high house prices. Despite this, South and East London are increasingly becoming popular places to live too. 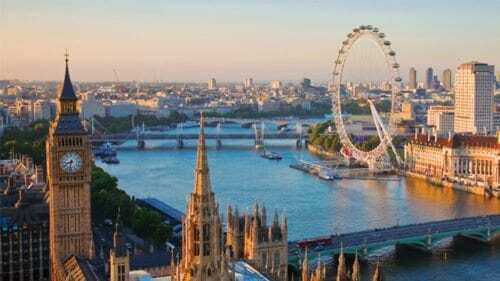 However, it is better to look at London as a collection of neighborhoods, each with its own personality and atmosphere. This means there is a wide range of housing options, so much so that your hunt for a place to live can be difficult. This South West London borough is a perfect place to live for people who want the village feel, plenty of green spaces, as well as a short commute to central London. Richmond is the only borough located on both banks of the Thames so if you’ve dreamed of living on a river, then this is the place for you. It has one of the lowest crime rates in London, meaning it is a safe place for anyone. The popularity of this borough means it is more suited to families and young professionals with higher incomes. 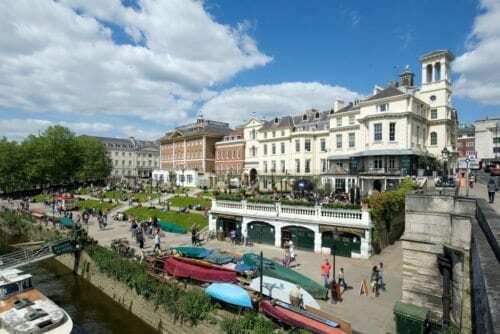 Richmond Upon Thames is full of excellent shops, restaurants, and parks—it has so much to offer during the evenings and on weekends. There are 3 major towns in this borough: Richmond, Twickenham, and Teddington. With plenty of open spaces, shops, restaurants, theatres, schools, and not to mention the famous Twickenham stadium, there’s something for everyone. It’s no wonder that the people in this borough are some of the happiest in London. 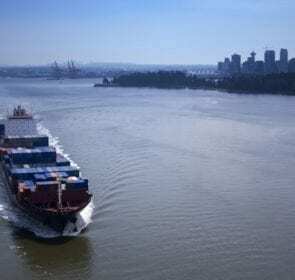 Located in South East London, Greenwich is perhaps most known for the Royal Observatory and home of the Prime Meridian. However, there’s so much more to it in terms of living space. Greenwich has great connections to central London via the Docklands Light Railway and has many green areas. It’s the perfect balance between the hustle and bustle of a metropolis, and the small town feel of small shops and restaurants. The National Maritime Museum, Old Royal Naval College, O2 Arena, and Greenwich park are just a few of the attractions located in this borough. 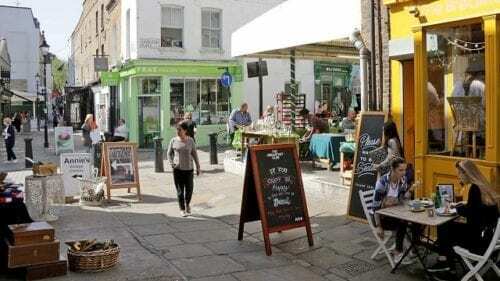 There is a fantastic range of restaurants and pubs, such as Goddards and The Old Brewery, not to mention the Greenwich Market and Clocktower Market, filled with craft foods, antiques, and all sorts of other items. Located in South West London, Clapham has recently become a trendy area to live. Although it is a relatively expensive neighbourhood, it has good reason to be so. There is a wide range of shops and restaurants as well as easy transport to anywhere in London. These characteristics, and the large Clapham Common, make this borough a great place to base yourself in. Clapham North is generally cheaper and more popular with students—so expect the nightlife to be very busy! In Clapham South, the area is more suited to middle-class families and is full of gastropubs, independent shops, and a farmers market. 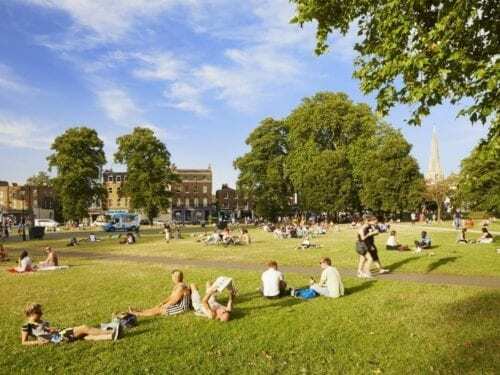 Clapham Old Town has plenty of schools and located near to the Clapham Common as well as easy access to Central London. Finally, Clapham Junction is known as the centre for the area’s shopping and dining scene. It can be hectic for families so this place is more suited to young professionals. Camden is one of the most well-known and coolest places to live in London. Of course, there’s the Camden Market, the perfect place to eat, drink, shop, and dance. 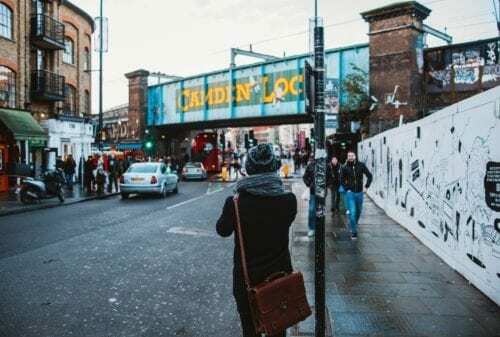 Although what Camden has to offer might be overwhelming, there’s no doubt that it is one of London’s most unique boroughs. Camden offers everything—food, bars, clubs, cafes, shops, you name it. 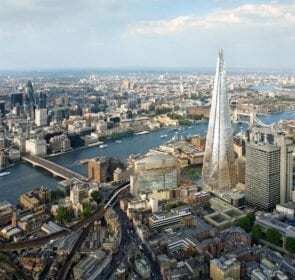 It is one of London’s most diverse areas, with various cultures and people from all walks of life joining to create a very unique place to live. Camden is home to affluent professionals, art students, alternative types, punks, and so much more. Just be ready for the busy streets full of tourists and locals alike, especially during the weekend. 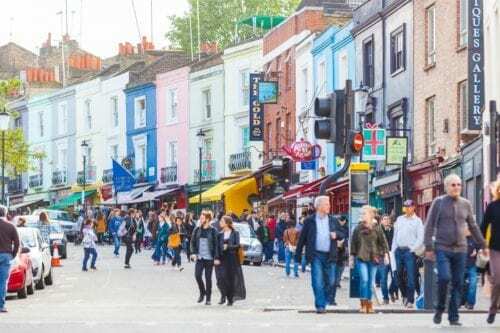 Colourful houses, the Portobello Road Market, the unmistakable Trellick Tower, and the Notting Hill Carnival—these are just a few of things that Notting Hill has to offer. Thanks to the film and its unconventional atmosphere, Notting Hill is well-known, both as a place to visit and to call home. Previously one of London’s poorest areas, it has significantly changed into a vibrant, diverse community. Chock full of trendy restaurants, bars, cafes, and shops, Notting Hill definitely has the bohemian charm that attracts so many people. It’s home to the world famous Notting Hill Carnival, London’s best party that embraces all people, so it is definitely a lively place to live. It is one of the most desirable places to live in London so it falls on the higher end of the cost of living scale. This South London Borough has a relatively lower cost of living than the areas mentioned above. Similar to Notting Hill, Brixton has a rough history. But thankfully, that has changed and now the area is an excellent stop for shopping and eating. The nightlife is some of the best in the city and has a rich arts and music scene. Just look at the Brixton Academy and you can see Brixton’s musical heritage. The area has a closely-knit community atmosphere with a wide variety of cultures. Also, Brixton is incredibly trendy, with plenty of creative spaces for artists and startups alike, independent bars and shops, and amazing restaurants. This, along with bustling shopping streets such as the Electric Avenue and the market, make Brixton a wonderful place to live. Crystal Palace is characterised as a quiet yet quirky neighbourhood. 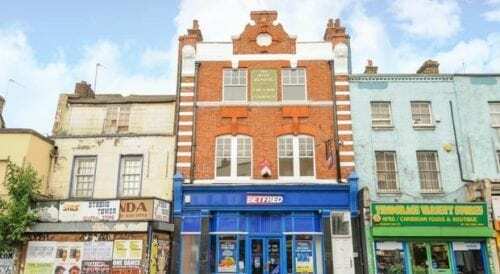 This South London borough is popular with families and young professionals looking for a cheaper place to live. Getting to central London is easy due to its proximity and convenient transport connections. While its namesake structure is long gone, there is plenty to see and do in Crystal Palace. The Crystal Palace Triangle—Church Road, Westow Hill, and Westow Street—are lined with vintage shops. Take a gander at the Crystal Palace Transmitter and visit the park full of dinosaur sculptures to escape the noise of the city. 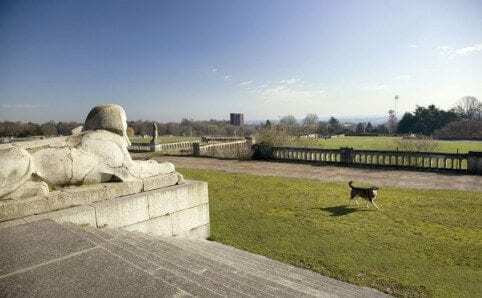 Located on a hill, Crystal Palace has a fantastic view of London too. Take a stroll through the area to discover amazing food options such as Joanna’s or The Exhibition Rooms. If you’re on a budget, then it’s definitely worth taking a look at Peckham. 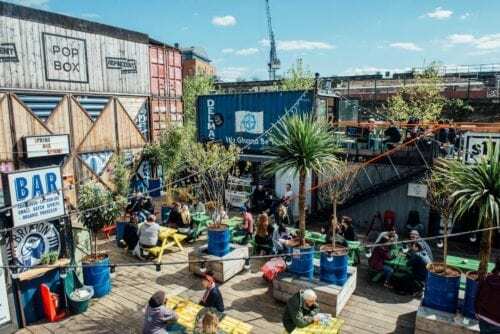 Another bohemian area, Peckham is an up-and-coming borough that has been transformed into one of London’s hippest places to be. It is also one of the most diverse parts of London and many young, creative people gather here. You can also see this diversity in the various shops, supermarkets, and restaurants in Peckham. Check out Frank’s, a great place to grab a drink while enjoying the views that a roof of a car park can afford, or the Begging Bowl, a stylish Thai food spot, as well as countless other places for food and drinks. You’ll definitely have something to do and someplace to go since the food scene and nightlife is thriving. For families, Islington is the place to be. Set in North London, the cost of living is relatively lower than in other areas. The area is full of different people—professionals, students, and families all populate this borough. Islington is centrally located so you can get to the heart of London easily by bus or train, and you can even walk if you prefer. Islington is one of the happiest areas in London. There is so much to do here. The lively Chapel Market and Camden Passage are both fantastic for a bit of shopping. You’ll also enjoy walking around on a weekend afternoon, exploring the streets full of lovely restaurants, bakeries, theatres, and cinemas. And if you need a break from London life, stroll along Regent’s canal and visit nearby Regent’s Park or Victoria Park. Ready to move to London? Then it’s time to find a removal company. Use our form to send a quote request to 6 local companies and compare their prices. This’ll be incredibly helpful when trying to narrow down the best company to help with your move. The best way to make house removals in London easier is to examine your options thoroughly.